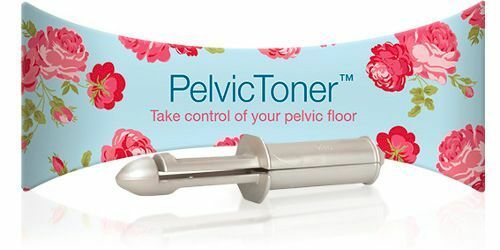 An initial trial of the PelvicToner at Sarosota Hospital, Florida, measured the physical improvement in muscle strength when resting and 'clenching' the pelvic floor. 20 female patients with incontinence, bladder dysfunction and/or sexual dysfunction related to pelvic floor relaxation participated in a 16 week trial. 15 subjects completed the full course. The PelvicToner exercise program was taught and surveys were completed initially and at 8 weeks and study completion at 16 weeks. Pelvic tone pressure measurements at rest and during voluntary contraction effort were taken initially, and at 3, 8 and 16 weeks. Subjective improvement was noted by 73% of study subjects. mean Kegel strength increased by 28%. 13 of 15 subjects (87%) had improved Kegel strength. Average pelvic tone measurements were increased at 3 weeks and continued to increase at 8 and 16 weeks. Subjective data collected by surveys revealed overall improvement in sexual satisfaction, bladder function and satisfaction with the program and use of the device. Thirteen (87%) of the participants indicated that they would continue the program and using the device on an ongoing basis.